This artist’s impression shows the material ejected from the region around the supermassive black hole in the quasar SDSS J1106+1939. 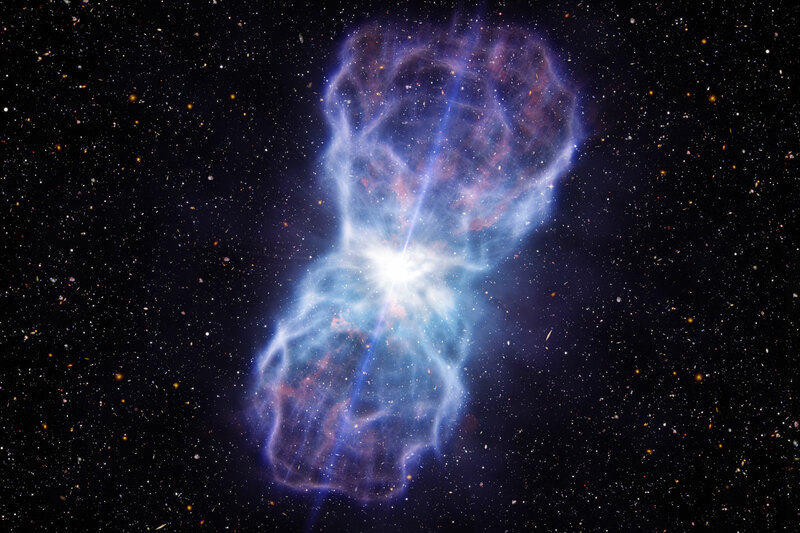 This object has the most energetic outflows ever seen, at least five times more powerful than any that have been observed to date. 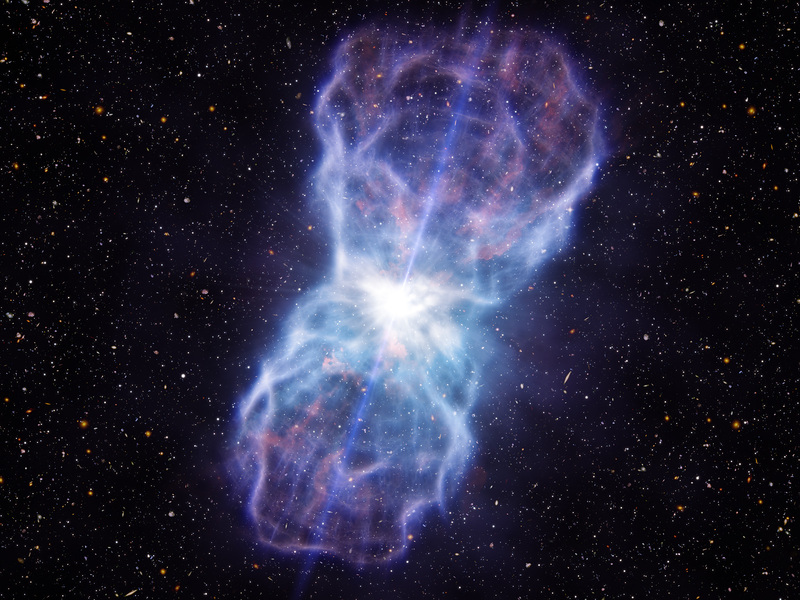 Quasars are extremely bright galactic centres powered by supermassive black holes. Many blast huge amounts of material out into their host galaxies, and these outflows play a key role in the evolution of galaxies. But, before this object was studied, the observed outflows weren’t as powerful as predicted by theorists. 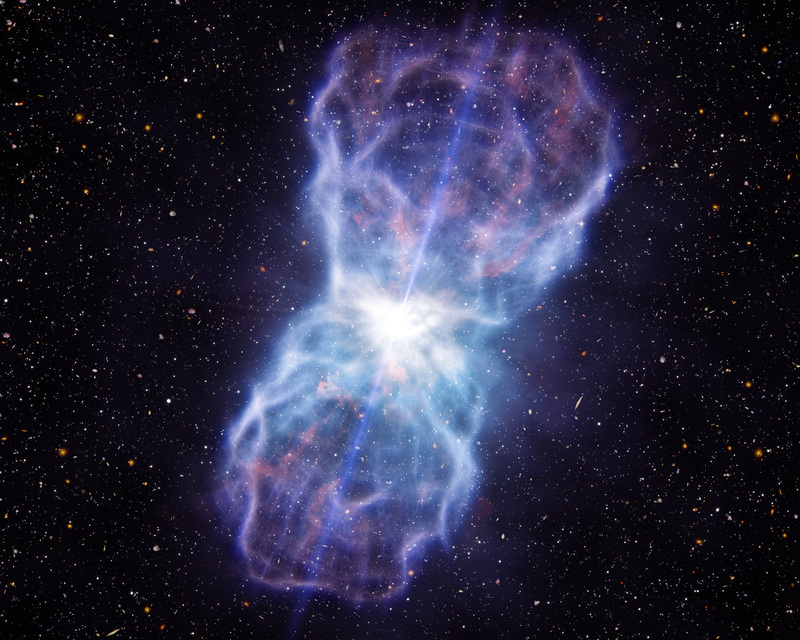 The very bright quasar appears at the centre of the picture and the outflow spreads about 1000 light-years out into the surrounding galaxy.